We’ll try to keep our website up to date with the latest news and any class plans. Please stop by frequently and look at “Classmates Chatter” (one the left side) were we will keep updates, announcements & happenings in one place. In the years to come we’ll try to schedule a few ways of getting together – at reunion time as well as other moments we can continue to strengthen & build the bond between us. If any of your contact information changes, be sure to update it on your profile as this will continue to be our way of keeping in touch. 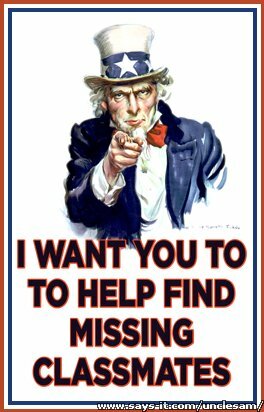 In addition, if you have any information on missing classmates send it to us so we can update their information. Keep well and keep in touch. We hope to see you soon! If you are a missing classmate and DO NOT wish to join the website, just click "contact us" in the top margin of this page, send us an email requesting name removal and we will remove your name from the missing classmates list. This home page plays music when it is opened. To turn off the music just scroll down the page to the MP3 player and click the pause button. The other pages may have music or audio to, you must also pause the music on the home page to hear the audio on other pages. Take a few minutes to visit the Memory Page . Honor the memories of classmates who are no longer with us by adding your thoughts or personal stories under the classmates you knew. If you know of a deceased classmate who is not shown on the Memory page or want us to add comments, a favorite song or more specific details about someone who is, scroll to the bottom of the Memory page, click where it says, "click here," and follow the prompts to send us your information. If you, or your spouse, or children are serving or have served in the military, please share your military service pictures with your classmates. Just click "Our Military Heroes" in the left margin and follow the instructions. And, thanks for your service. This site isn't about waistlines, hairlines or credit lines. It's about reconnecting with our friends from some of the best years of our lives! Praise to thee, O Grissom High. Heroes of days gone by. Salute to thee, O Grissom High. Lives that others wish to live. All to thee we owe and give. Our Alma Mater we do all adore thee. 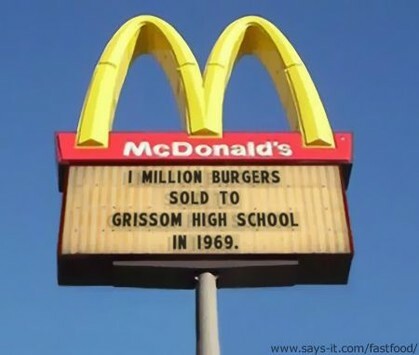 O Grissom High School, we all hail.